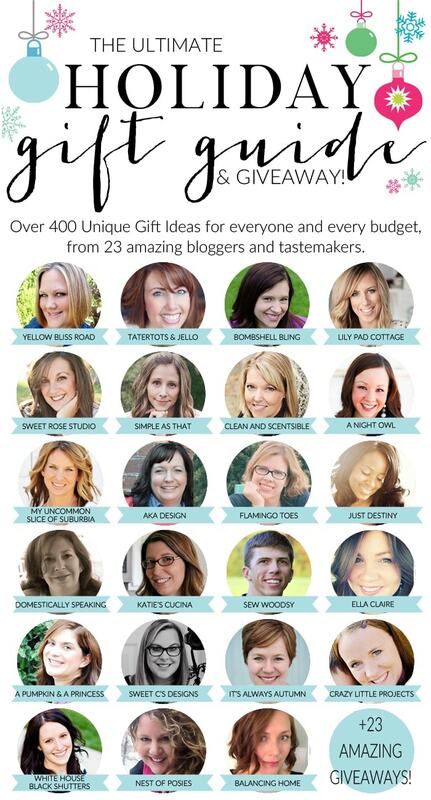 Hello and welcome to a pretty spectacular event ~ The Ultimate Holiday Gift Guide is HERE!! 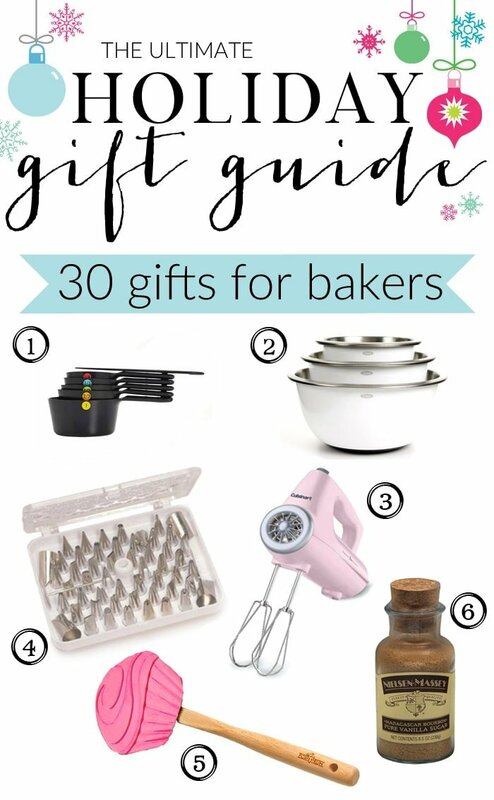 Twenty-three bloggers have put together lists of their favorite gifts to help make your holiday shopping easy this year, with gift ideas for everyone from moms and dads, to kids of all ages, to DIYers, to my favorite – Gifts for Bakers. 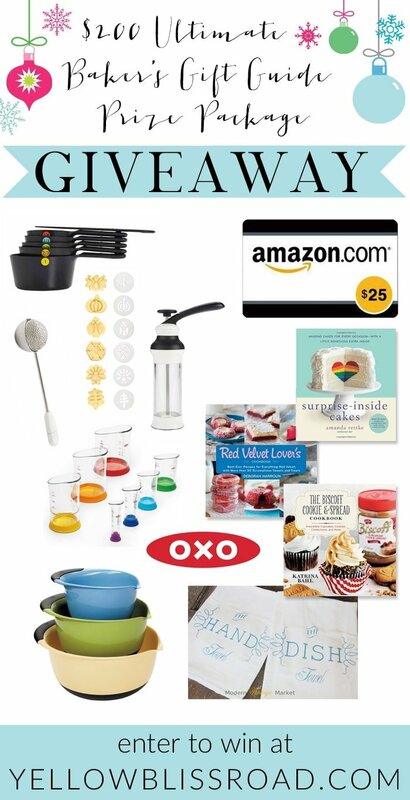 And as a special bonus, each gift guide will end with a GIVEAWAY that will include items from the gift list. There are thousands of dollars worth of prizes up for grabs, so be sure to visit everyone! See, I told you it was pretty spectacular!! So who’s joining in on this shindig? Let’s get this party started, shall we? 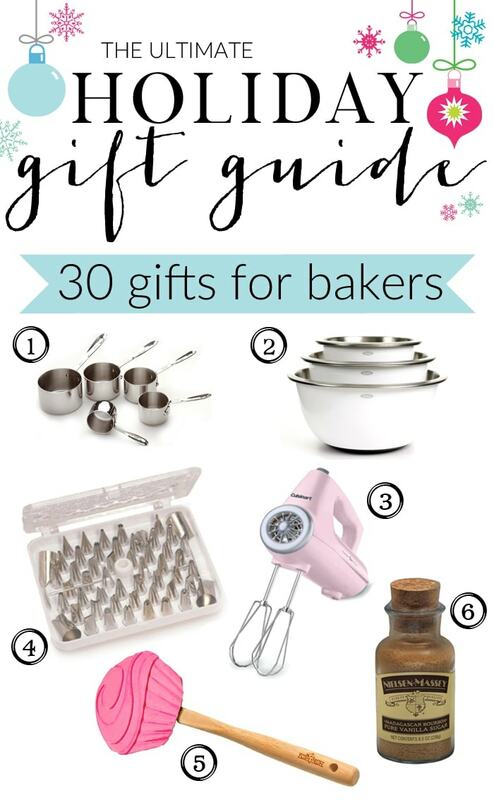 Up first is my gift guide – my favorite gifts for people who love to bake! 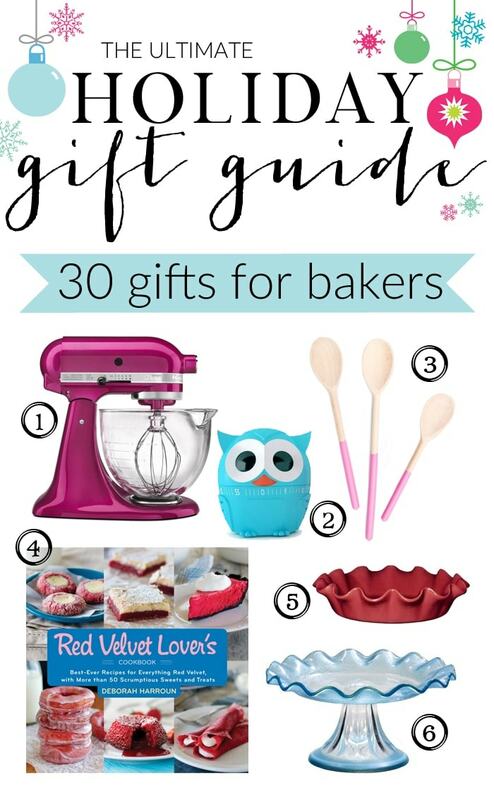 Do you have a friend who loves to bake? 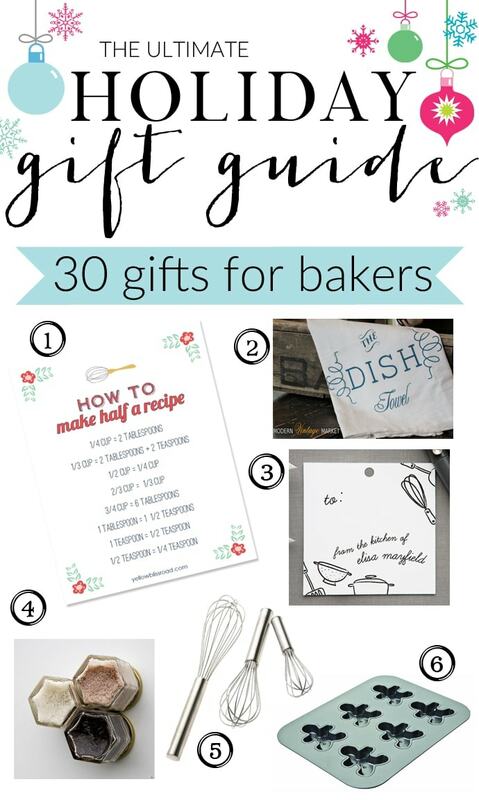 Are you a baker who isn’t sure what to ask for? 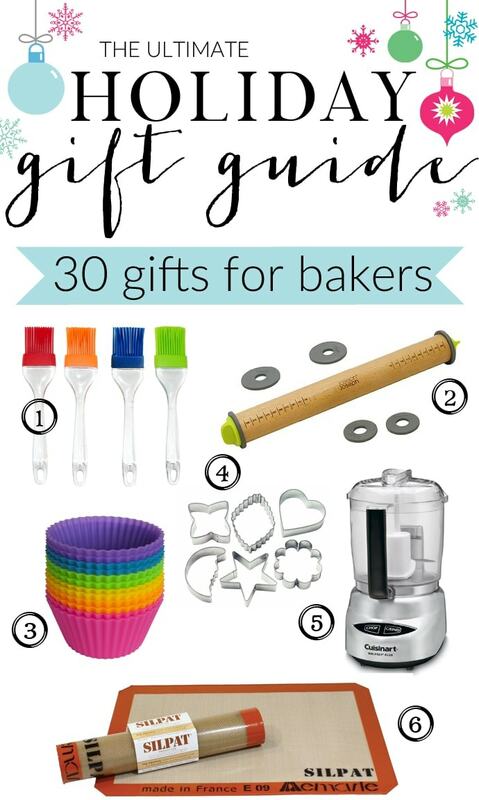 I’ve got plenty of ideas that are guaranteed to please amateur and professional bakers alike. Here’s how this will work – As you scroll down the page, you will see a graphic with some images in it. Below the graphic are links to where you can purchase the item or get more information. Easy enough? Let’s get started! Looking for more unique gift ideas? 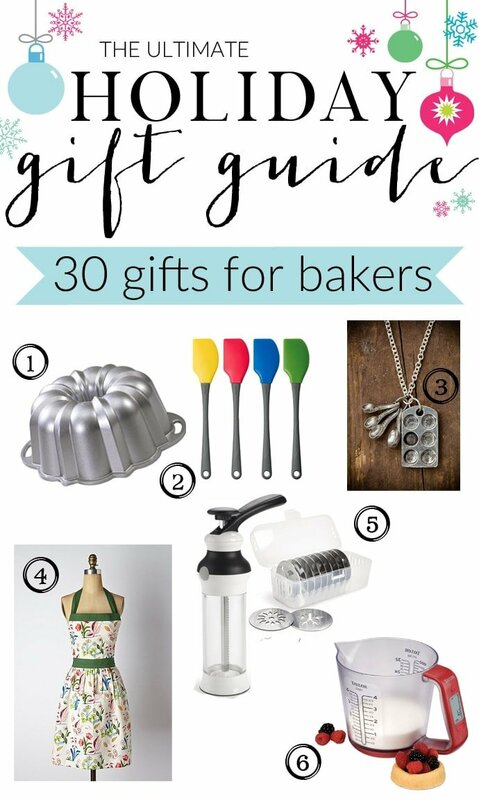 Be sure to check out the other 22 Holiday Gift Guides! And here’s that fabulous giveaway I promised! My favorite baking tool is my baking mat. I like my stand mixer. I love my kitchenaid food processor! Gotta love a great mixer! My favorite baking tool is my KitchenAid mixer! I love my Pampered Chef batter bowls. My favorite must have while baking is rubber scrapers! Definitely my kitchenaid mixer! I love it! An old fashioned drop cookie baller, looks a little like the round part of a melon baller but it has a spring action for dropping the balls. Thanks for a great giveaway! My KitchenAid mixer is definitely my favorite. I love my kitchen aid mixer for baking and my Ninja for many other tasks! My Silpat is my favorite baking tool. The age-old wok (I need a new one).